This is a sweet romance. Jill Taylor has had a crush on her best friend’s uncle, Chicagoan Dayton Vance, since she was a teenager. Unfortunately, Dayton insists that Jill is too young for him even though only six years separate them. 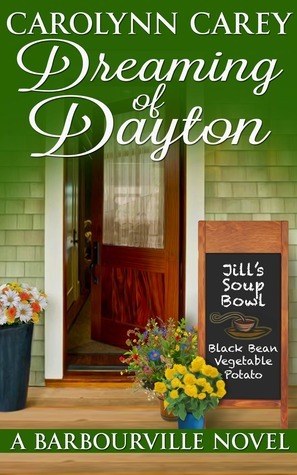 Finally, having given up on Dayton, Jill closes her Atlanta counseling practice to follow her friend Megan to Barbourville, Tennessee, where she opens Jill’s Soup Bowl in a renovated Victorian house. Jill is contentedly settling into small-town life when Dayton’s appearance on her front porch disrupts her peace and has her questioning her real reasons for moving to Barbourville. Attorney Dayton Vance, one of triplets, was born a few minutes before either of his brothers, Dallas and Denver, and he’s always felt responsible for both of them, along with his niece Megan. When those three end up living in Barbourville—a move Dayton considers ill advised—he wonders where he’s gone wrong. Because Jill Taylor is the only counselor he knows who is acquainted with his entire family, Dayton flies from Chicago to Atlanta to consult her. Horrified when he discovers Jill has moved to Barbourville to open a restaurant, he hunts her down to complain, only to end up in her kitchen the next day peeling potatoes and asking himself how he managed to lose control of his plans so completely. Can the town of Barbourville work its usual magic and help two obstinate people discover that following their dreams will lead them in the right direction, no matter where they live? This was a funny love story in that the lead male character is a lawyer from Chicago and is the oldest of triplets. He tries to take full advantage of that. For some reason one day he fills the need to talk to a family friend who is in love with him but was told by him because she was 6 years younger this won’t work. This of course was done when he was 25 and she was 19. She is now or was a therapist in Atlanta and he goes there. She is not there she closed her practice. So he drives to Barbourville Tennessee. When he gets there when he is driving through town he sees her in front of a restaurant sweeping the front. He stops and starts in on way nobody told him she had moved there for his two brothers live in town with their families and were sworn to not tell him that she had moved there. He finds out that she owns the restaurant and then he continues to make matters worse for himself by just talking and not listening. Then the biggest mistake is spending the night at the local B&B so the following morning when he goes back to talk to Jill his family shoes up and reads him the riot act for not letting anyone know he was in town. Dayton Vance continues to make matters worse and yet he actually thinks he is helping. When he finally gets a little bit of courage to let her know that he is in love with her, her mother shows up because she hurt her ankle. She gives him the cold shoulder and not wanting to confront the mother he runs back to Chicago. He is not happy there and starts making plans to move to the town his brothers are in and also looking at building a restaurant he found out that he really enjoyed working in one but he wanted to do things a little different. Jill tired of everything went back to Atlanta for a couple of days to try to move back there. Of course I am not spoiling it they get together but there is a lot that goes on before that. This is a really funny story but one that you get to see even the whole family all get together and work things out and they are there for each other. Also has that small town effect where everyone knows each other and looks out for one another. 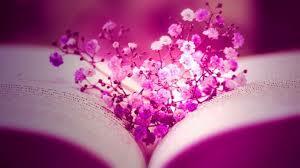 A very nice story. I got this book from net galley.